TIPS: I used 9 LARGE Jalapeños. I mean, these suckers were HUGE!!!! We def had to use a knife and a fork for these bad boys! 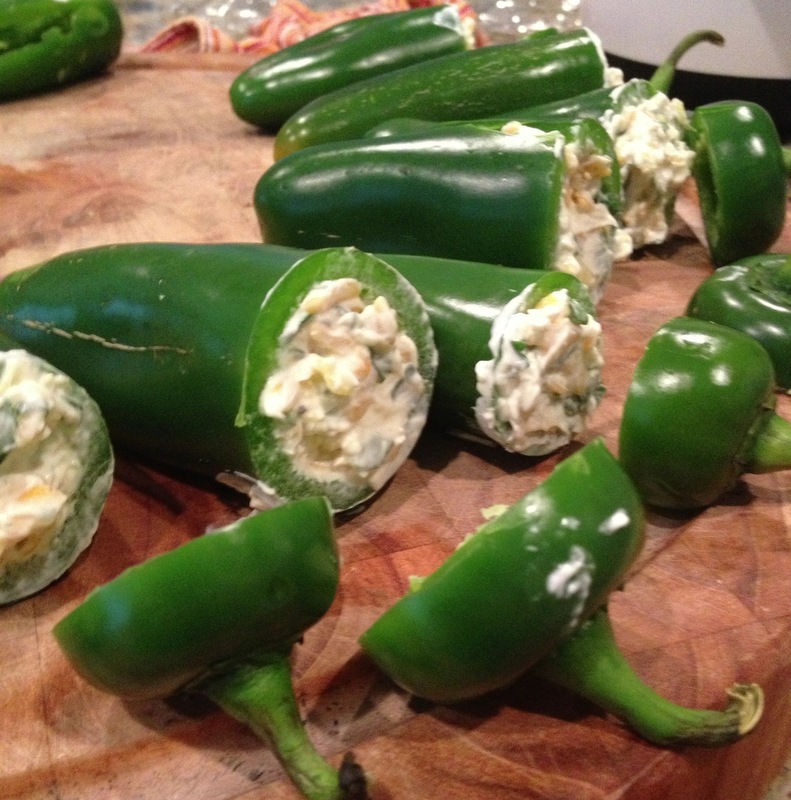 (You can also use the smaller jalapeños and make them more “popper” size. Instead of wrapping an entire piece of bacon around them, you would just use half. Easy Peasy!!!) Also, I recommend the Neufchatel Cream Cheese as it has 1/3 less fat than regular cream cheese. But, I would NOT Substitute Fat Free ANYTHING EVER!!!! Usually the Fat Free versions are chock full of other bad ingredients (sugars, calories, preservatives, natural flavor, etc). The small amount of added fat in the lower fat or even the full fat versions are in actuality better for you. The more natural and wholesome the product, the better! And, for the love of food, Do NOT use Fat Free Cheese. I mean, YUCK!!! That stuff doesn’t even melt right!!! Also, if you don’t like pineapple…leave it out! 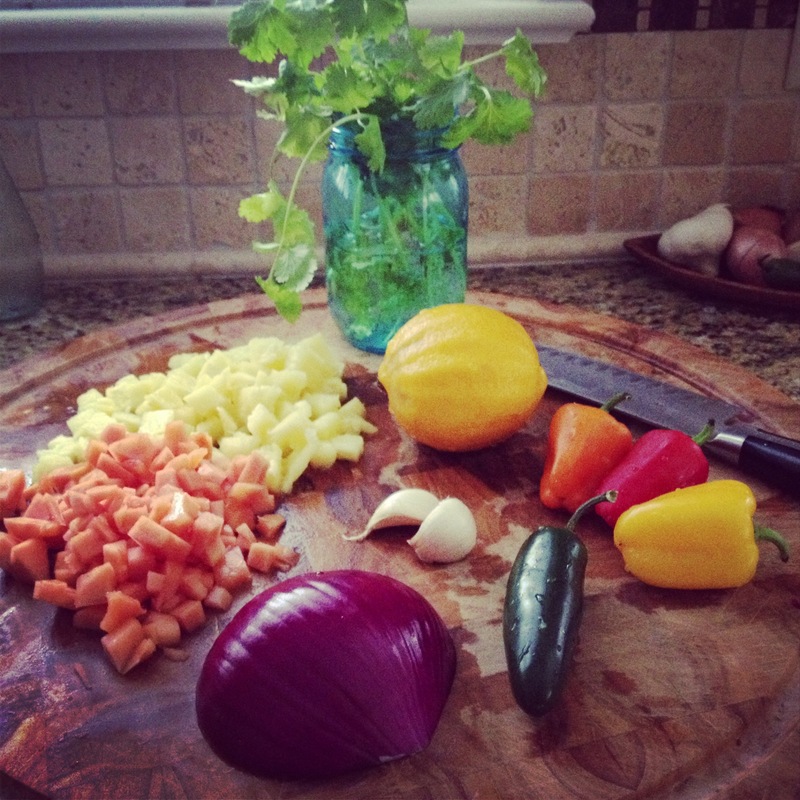 And if you hate cilantro, you can sub in another herb of choice. 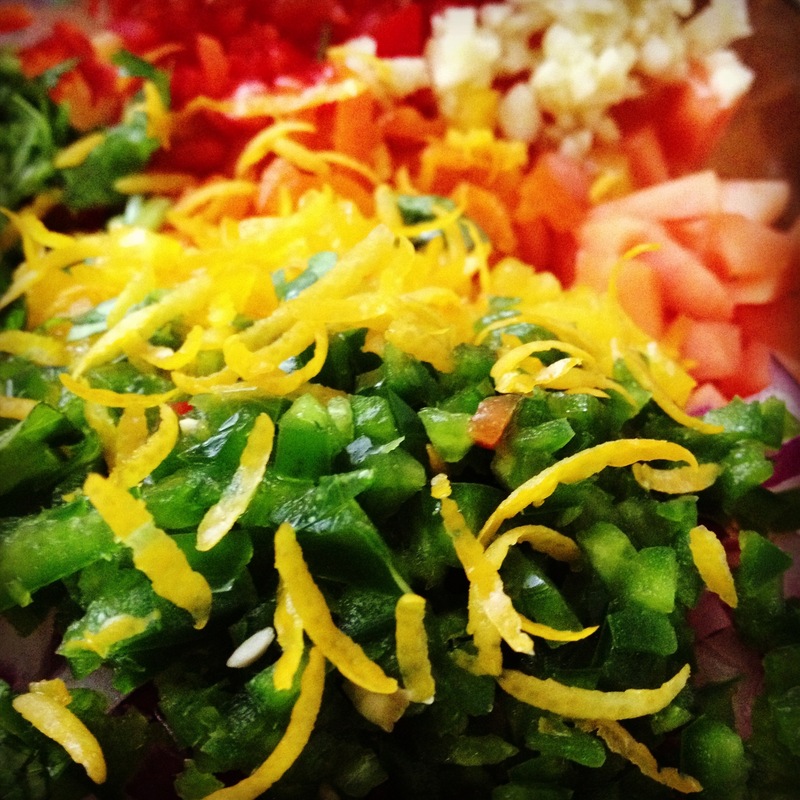 I’d recommend Parsley, Chives, Garlic Chives, or Thyme. 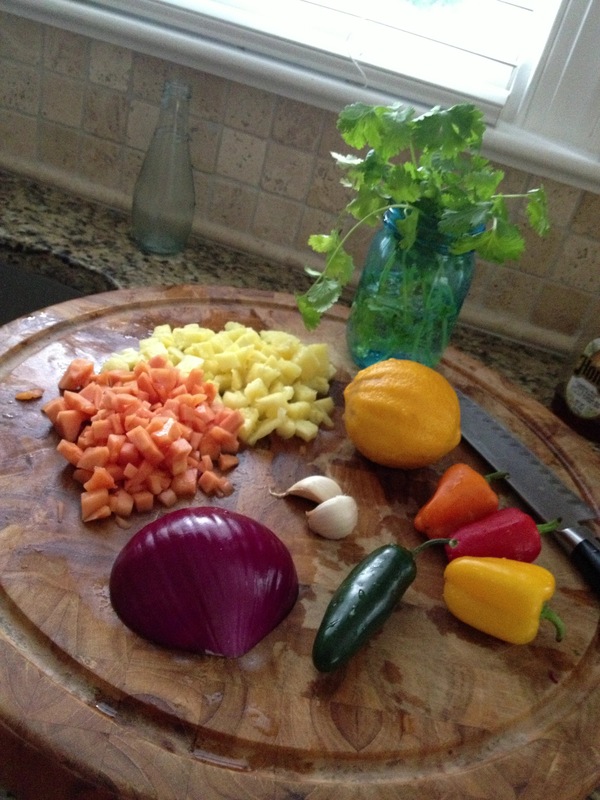 Yeah, Yeah….I know this is a blurry pic, but I was working fast in the kitchen. I just wanted to show you what I did with the Pineapple. After dicing up, I placed it on a paper towel to drain off the excess water and juice while I prepped the rest of the ingredients. Nobody likes a soggy CheeseBall!!! 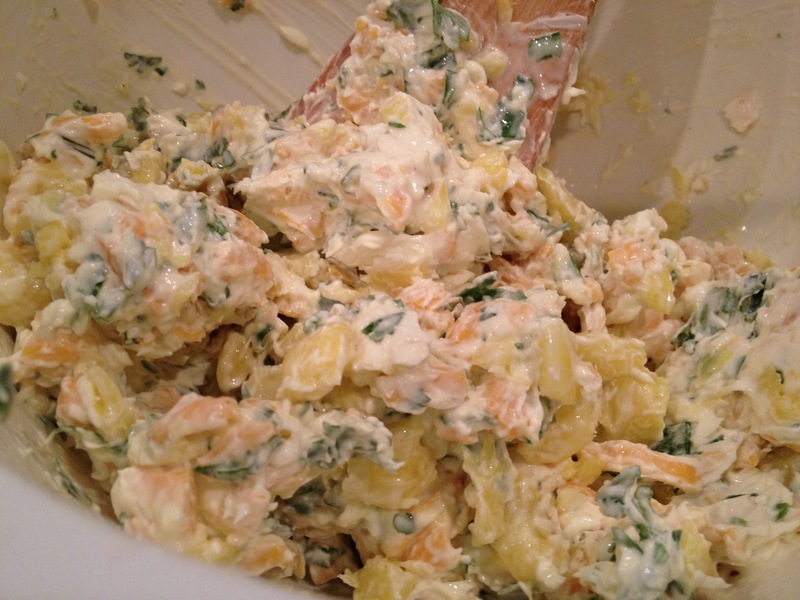 Now, the cheese mixture should look like this. Yes, that is a LOT of pineapple. 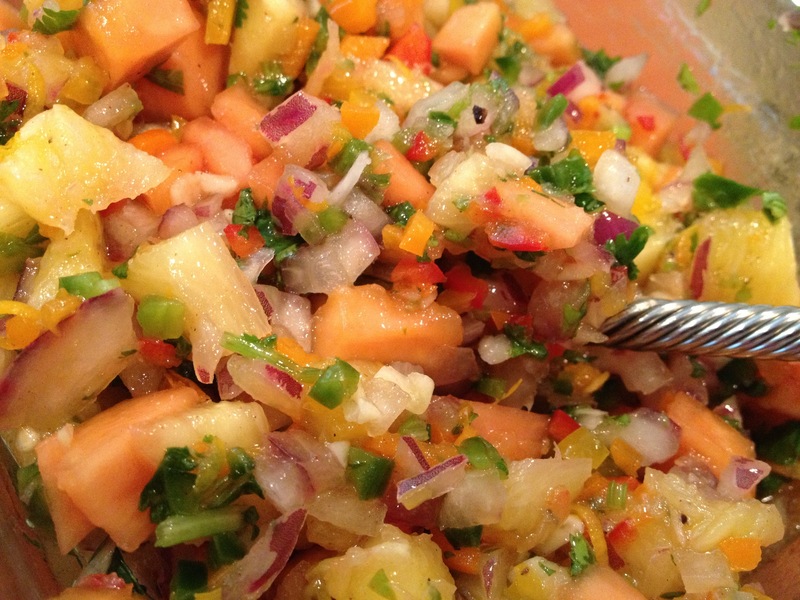 We love pineapple and cilantro. 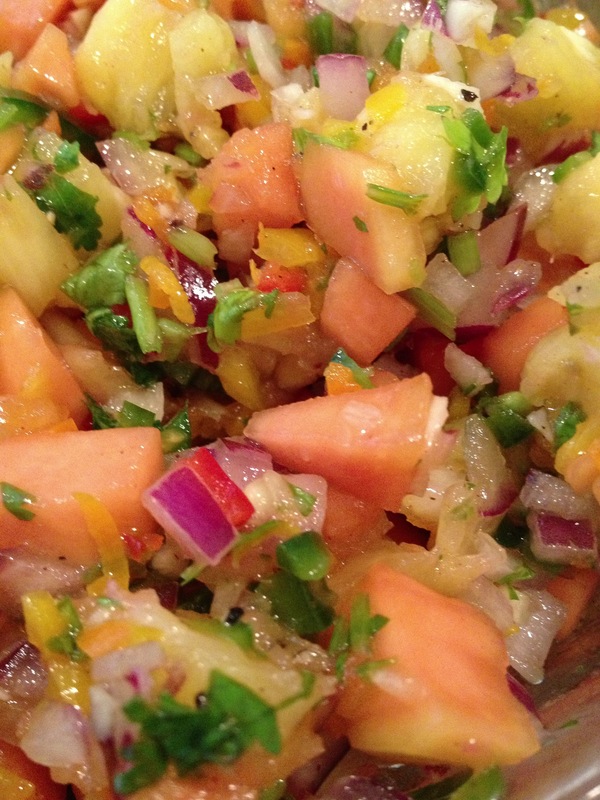 I thought that the sweetness of the pineapple might counteract the spicy jalapeño. Here’s what I learned. Yes, you CAN taste the pineapple in the cheese ball. And, no, you can NOT taste the pineapple in the poppers. I’m not sure if its because we smoked them on the grill with apple wood, or if the heat of the jalapeño masked it. 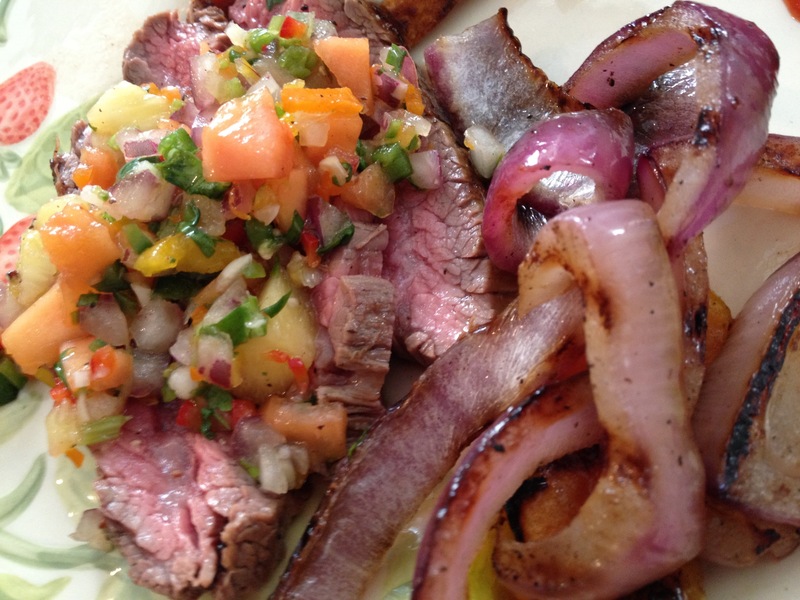 But, if I make poppers again, I will leave out the pineapple, I think. Maybe it does do some undercover work making the mixture a little sweeter? And, it IS a healthy addition!!! 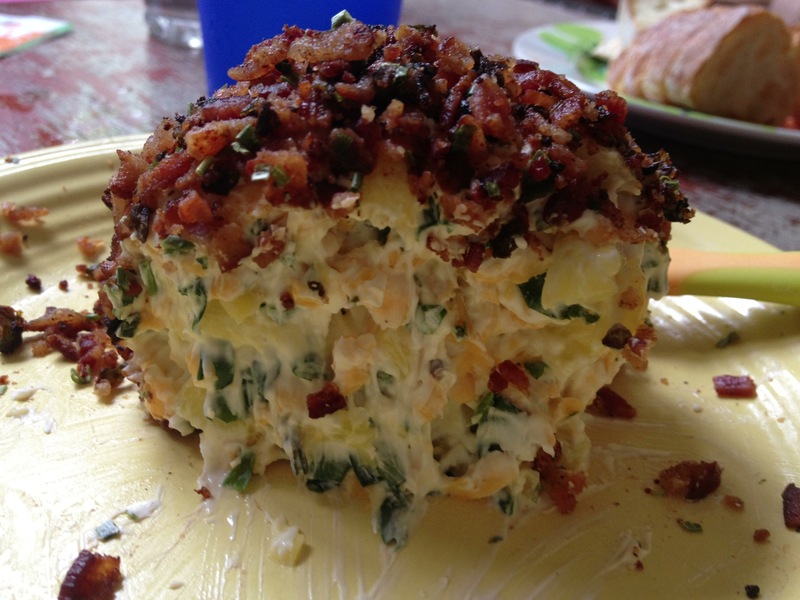 In fact, it was delicious in the cheese ball…….until the next day. We had some leftover and ate it for a game day appetizer on Sunday. For some reason it tasted BITTER. Not very good. 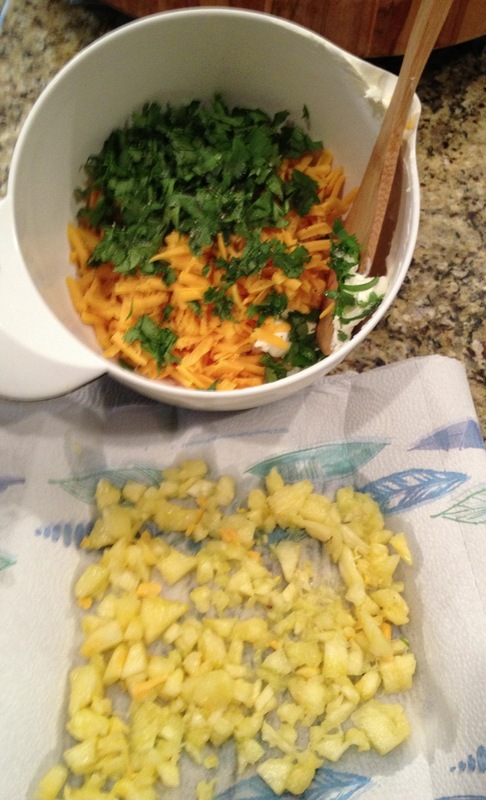 So, apparently the cheeseball is best eaten the day its prepared if you add pineapple. And, be sure not to roll it in the bacon and jalapeños until the day you serve. 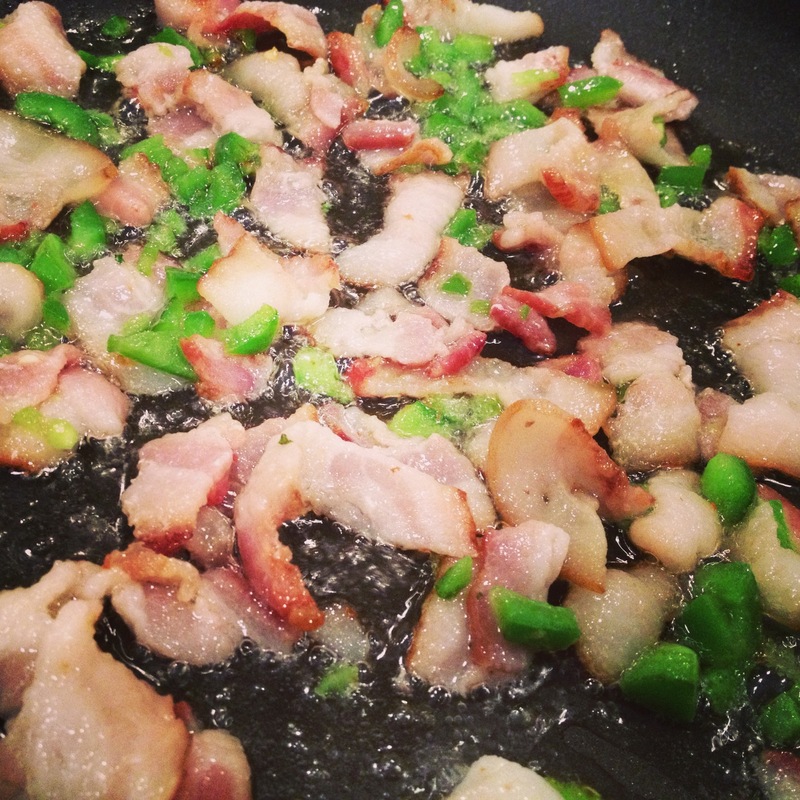 You want to bacon to be crispy, but once it is refrigerated, it becomes chewy. I wasn’t sure how to go about the Jalapeños. I could either slice them lengthwise and try to clean out the seeds and some of the membrane (this is where the heat hides in peppers). I did that to my first Jalapeño, I started with 10. I ruined it. I think they were so large that this method was difficult to accomplish without splitting the pepper. Down to 9 peppers. This time I decided, Off With Their Heads!!!! This worked fabulously!!!! 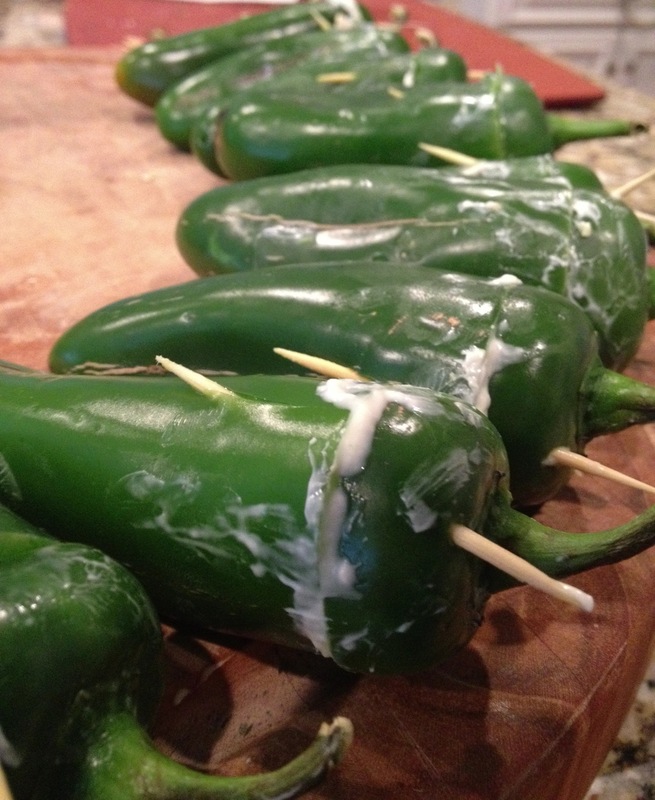 So, for smaller “popper” size jalapeños, I would use the slice down the middle method. 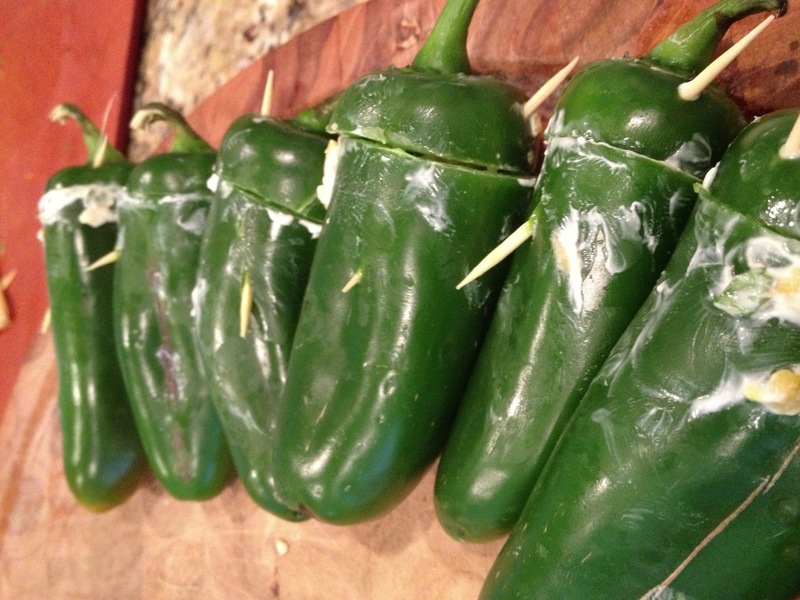 For these Big Daddy Jalapeños, the Off With Their Heads method worked best. 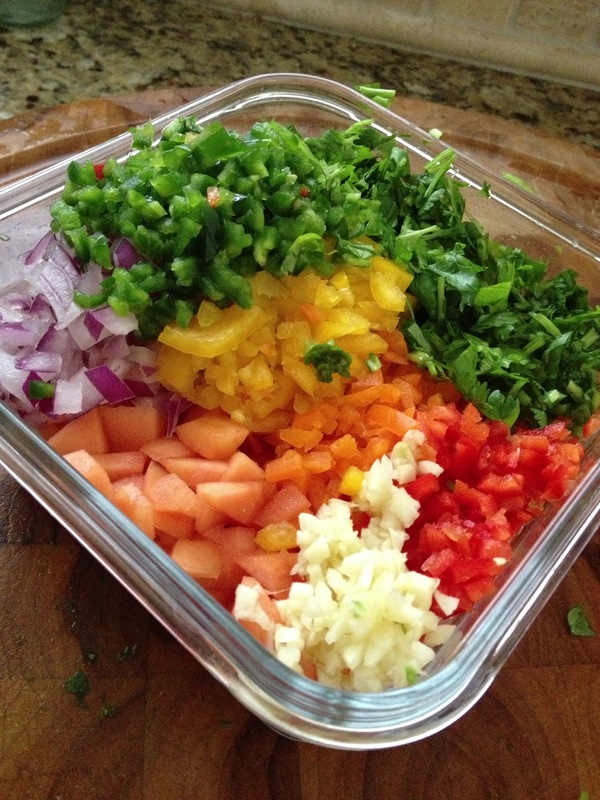 TIP: When stuffing the peppers, be sure to start with a small amount of filling and push it down to the tip of the pepper. 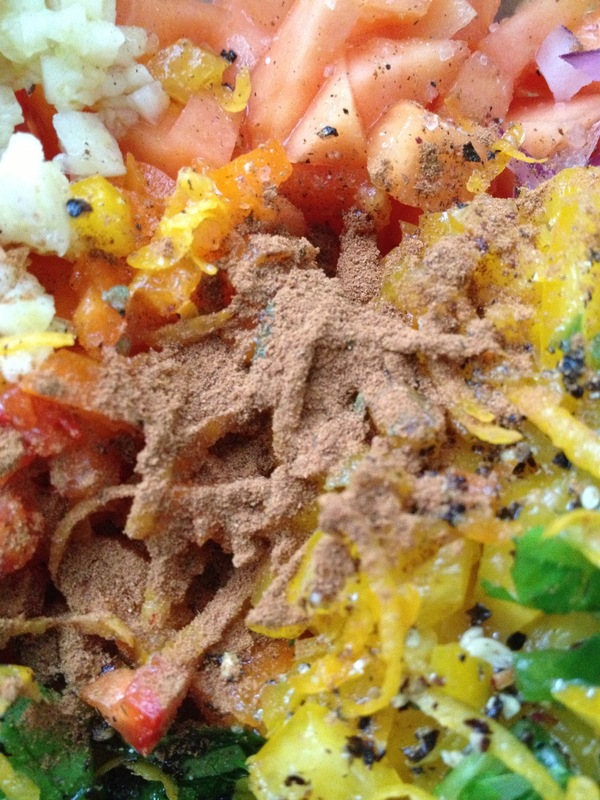 Then go back for more filling for the upper half of the pepper. No bite left unfilled!!! Put the Tops back on! Now, secure with a toothpick. Not really sure what I was doing here since these guys were HUGE. I inserted 1 toothpick through the top “hat” of the pepper and tried to secure it to the base. Maybe next time I’ll use 2 toothpicks and secure them in a crisscross fashion??? I didn’t use 2 because I thought the bacon “wrapping” would help keep them intact. Lesson Learned. It gets kinda messy, but No Worries!!! The filling also acted as a sort of “glue” to let you put the tops back on the jalapeños and secure them with a toothpick. However, we lost some of the tops while grilling. Apparently, I should have used 2 toothpicks for these Big Daddys. I figure 1 toothpick would be sufficient for a normal size jalapeño. TOOTHPICK TIP: I used natural bamboo toothpicks that I had presoaked in a cup of water for about 20 mins. You don’t want them to burn! This will help. 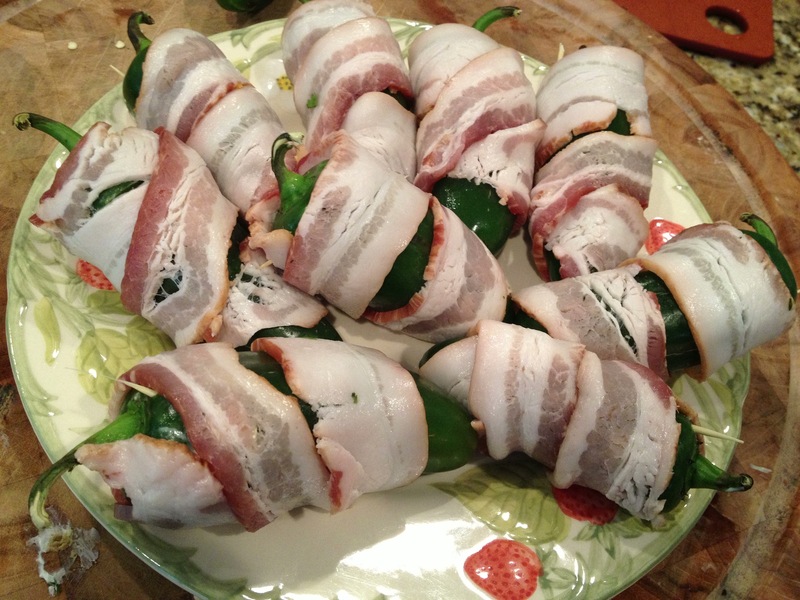 Next, take a whole slice of bacon and wrap it around the entire pepper, tucking the ends in. 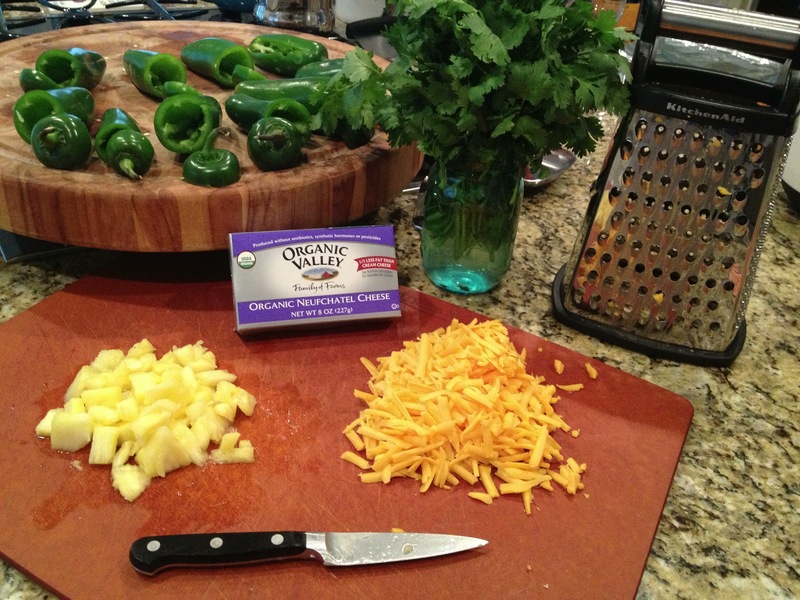 If you are using a “normal size” jalapeño, a half slice should be enough. I used a local applewood bacon for super flavor. 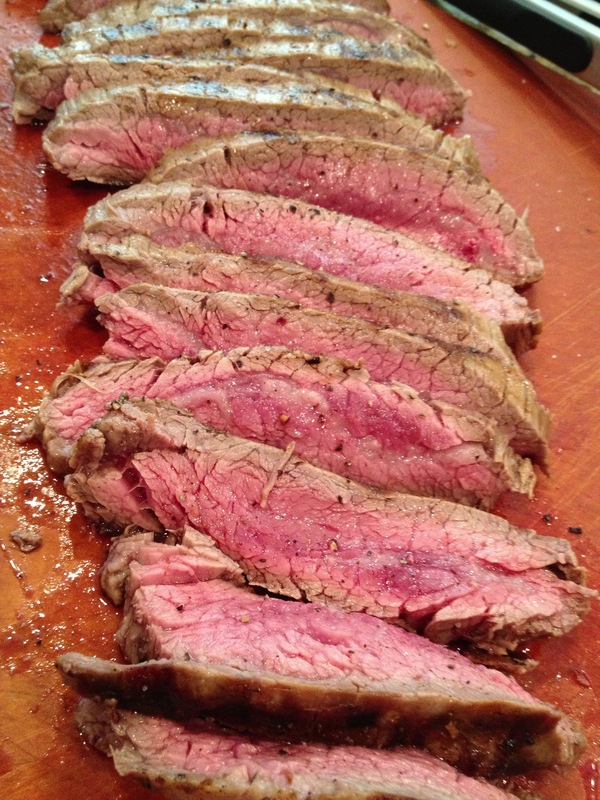 We were also smoking these on the grill with applewood chips. Flavor Boost!!! You can also use regular bacon or turkey bacon! 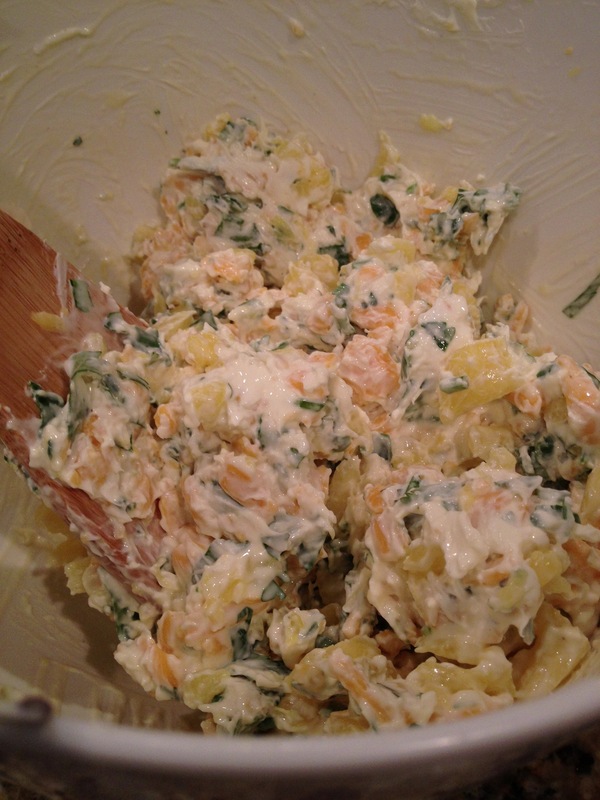 Pop in Fridge until ready to cook! Now, to put these on the grill and try to keep them easy to turn. 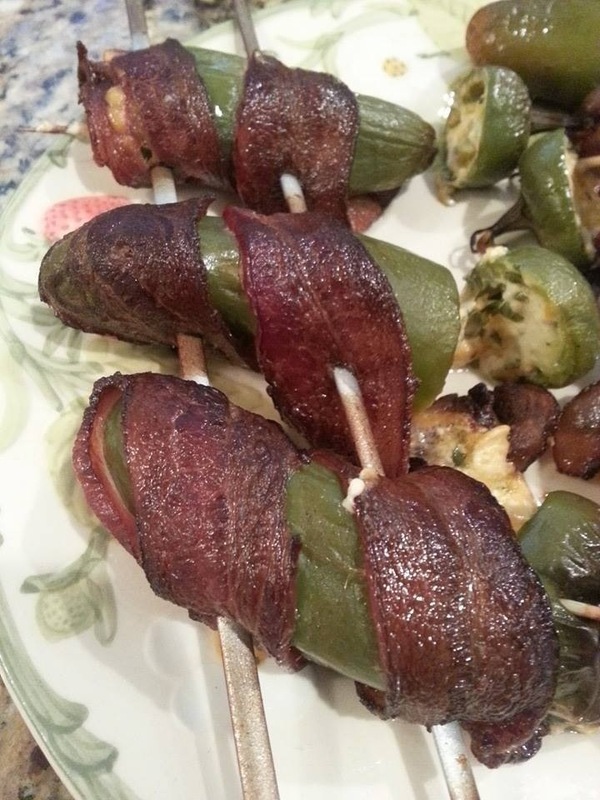 I skewered 3 poppers on 2 skewers before placing them on the grill. This helped keep them stabilized and easy to flip. Got to get all sides of that bacon CRISPY in this household, per the hubs. Ok, so after stuffing all the jalapeños, I had some of the Cheese Mixture Leftover. Hence, the creation of the CheeseBall. 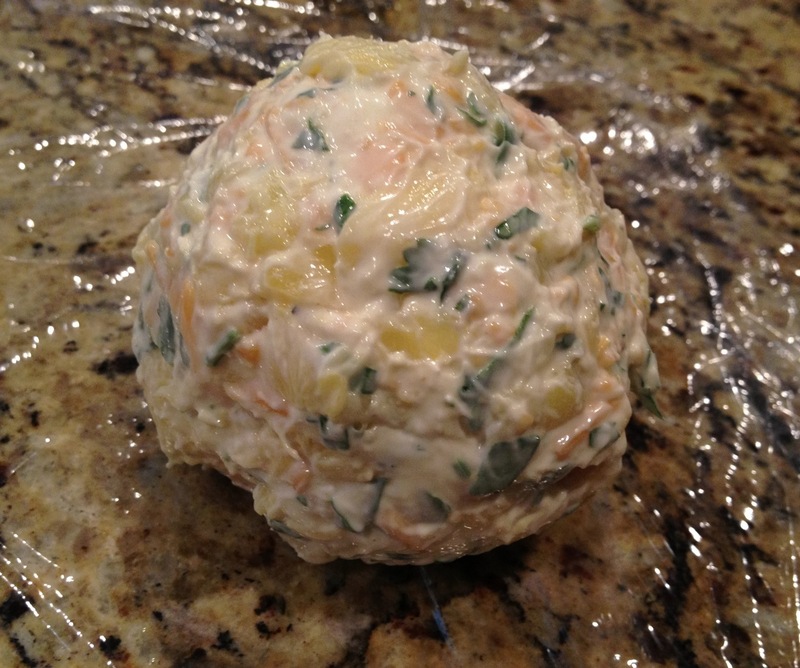 Cheese Balls are simply cream cheese mixed with your choice of cheeses and herbs and fillings and rolled into a ball. I thought, what a quick app already made for me! No waste, No worries. (I also debated using it for stuffed chicken). Simply Roll the Mixture into a Ball and wrap in Saran Wrap. 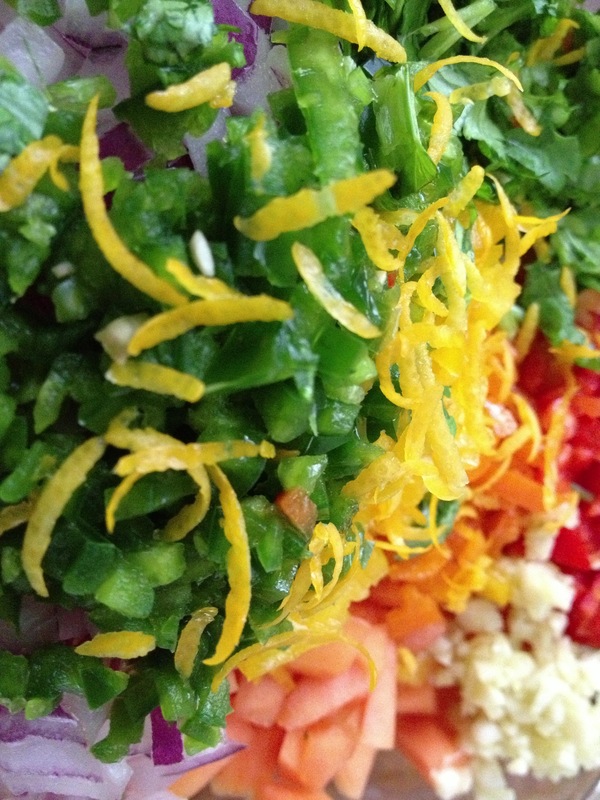 Let chill in the fridge at least 30 mins or while you get the toppings ready to roll it in. Most people use a variety of nuts to roll their cheeseballs in. The Hubs is allergic to tree nuts, so instead I decided to crisp up some bacon and that naughty leftover jalapeño that I ruined earlier and use that as a crispy outer layer. 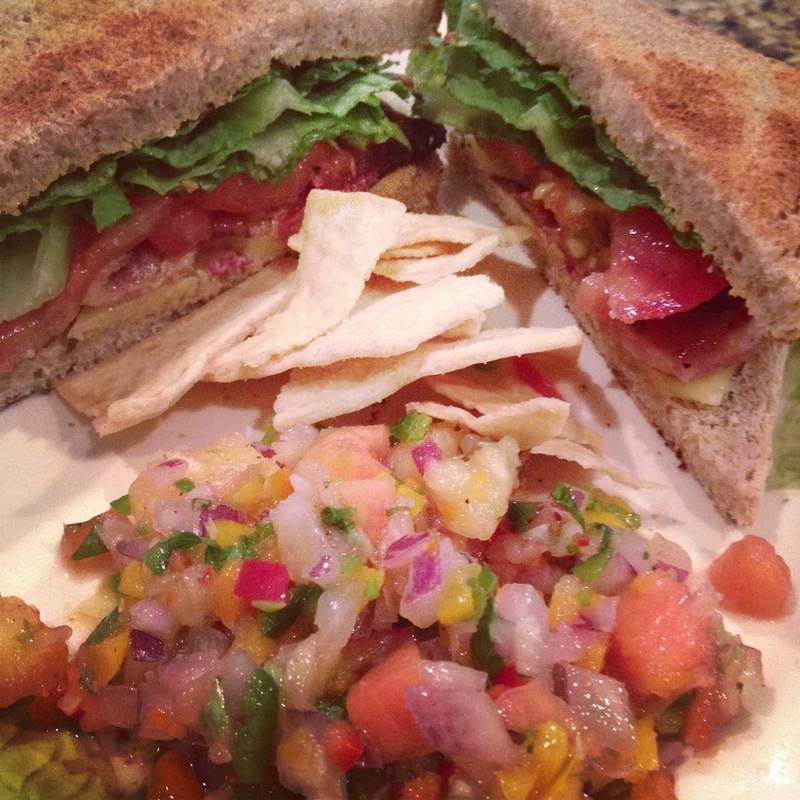 Turned out DELISH!!! Do It!!!! Can you Smell the SIZZLE!?!?! Drain the bacon and jalapeños on paper towels until cool. Make sure they are pretty small. I chopped mine up roughly with a knife. 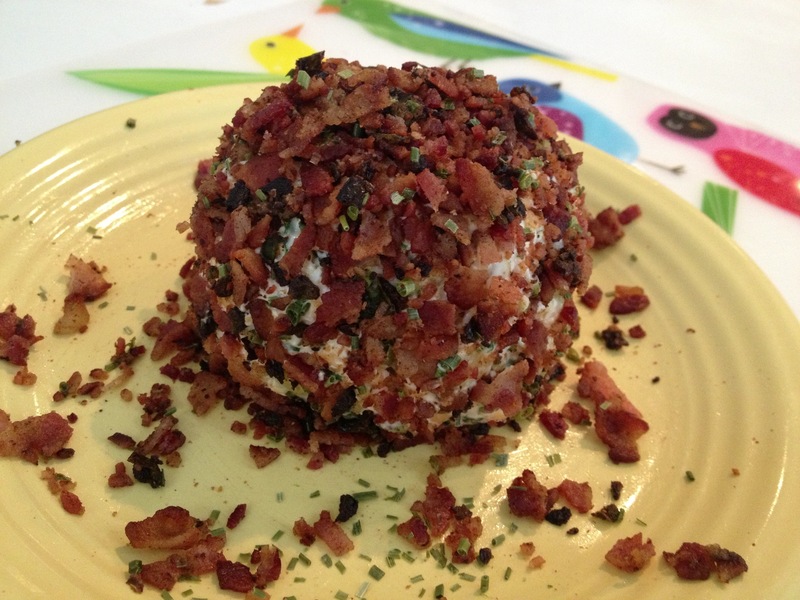 You want your CheeseBall to be evenly coated in bacon deliciousness. Tip: Again, you can sub turkey bacon. It just won’t be as delicious. 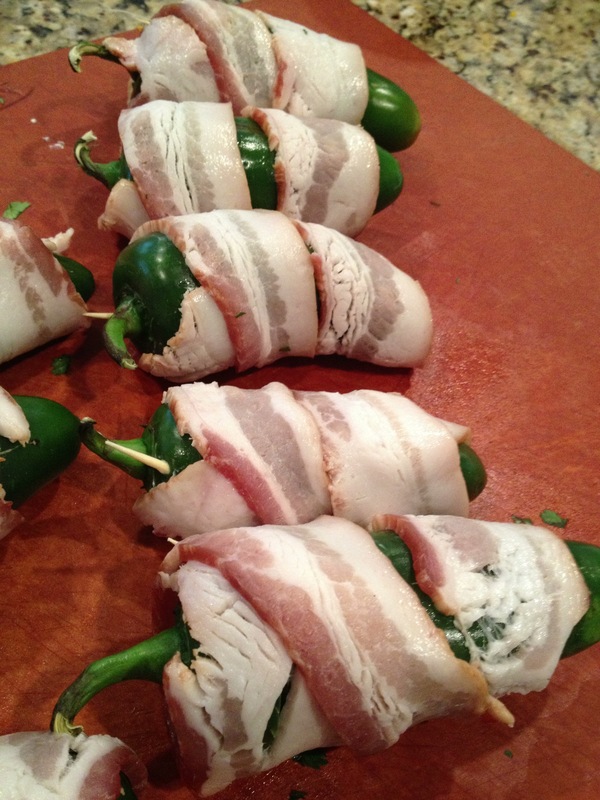 Roll the chilled cheeseball in the bacon/jalapeño pieces. Serve Immediately with Crackers, Bread, Crudités, Pita.